The photo above is courtesy of J.T. Stanton and not of the MS65 just sold. However, it is of the same variety. 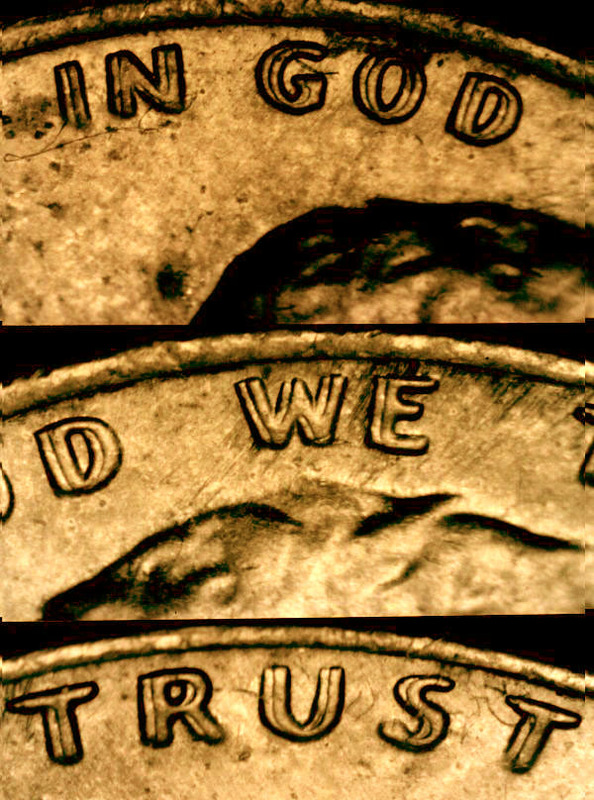 July 18, 2003—Sam Lukes of Visalia, California has confirmed the sale of a 1970-S Doubled Die Obverse #1 Lincoln cent graded by Numismatic Guaranty Corporation of America in Mint State 65 Red for $22,500. It appears to be a record price for the rarity in a certified MS65 grade, a bit short of the approximate $24,500 price that Lukes indicated a Mint State 66 Red sold for in a Bowers and Merena Galleries sale some time ago. Lukes revealed this latest sale represented the third example of the variety he sold that month. He also sold an About Uncirculated 58 certified by the Professional Coin Grading Service (PCGS) for $4000 on June 2nd, and a PCGS Mint State 64 Brown for $6500 on June 6th. 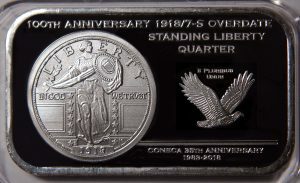 The later coin is the one pictured above. This is the major variety listed by CONECA as DDO-001 (1-0-I-CW). The doubling is strong to very strong on the date and much of LIBERTY and strongest on IN GOD WE TRUST. The1970-S DDO-001 is what specialists refer to as a Class-1/Rotated hub doubled die, the same type found on the more famous 1955 and 1972 doubled die cents. The the shift is described as being clockwise based on the final, stronger image being shifted in that direction. Hub doubling is possible due to a phenomenon known as work hardening. This causes the metal of the face of a die to become too hard and too brittle to allow a complete image to be sunk into the die in one operation without causing it to crack or shatter (during the multiple hubbing process). As a result, several impressions or hubbings are required to produce a die when using this process. (The multiple hubbing process was replaced in recent years by the more modern “single squeeze” hubbing process). Between each hubbing the die is removed from the press and annealed (softened) thus allowing for another impression without shattering the die. If for some reason a partially finished die is reinstalled into a press for strengthening and the hub and die are improperly indexed, resulting in a misalignment of images, or if the hub varies in design from the one(s) used for earlier impressions — hub doubling will result. In this case, the misalignment was caused by a rotational misalignment between the die and hub with the pivot point somewhere near or at the center of the die. 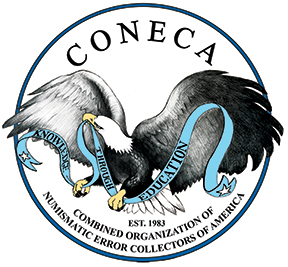 Collectors should be cautioned that cents from the San Francisco Mint dated between 1968 and 1970 (and many other dates and Mints) are exceedingly common displaying a form of doubling known as “Strike Doubling,” (frequently referred to as “machine doubling damage” or “mechanical doubling” by others), a form of damage to the coin created during or just prior to ejection, a split second after the strike. 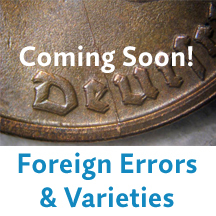 These damaged coins are often found by uninformed collectors who think they are doubled dies. Hub doubling adds value to a coin while strike doubling adds no value. Spurts of interest in high-profile doubled dies occur whenever a record sale of a legitimate item occurs at a lofty level such as this coin. This prompts searches of rolls of coins by uninformed collectors, followed by the logical flow of strike doubled coins offered as doubled dies, shortly thereafter. The doubling for this variety must be identical to what is shown in the images above for it to be the major doubled die. Other legitimate but relatively minor doubled dies exist for this date.